Rohit Sharma scored his 20th ODI century on Sunday. Sharma brought up the milestone in the first ODI against West Indies in Guwahati. It took him just 84 balls and a classy cover drive off the last of those to reach the three-figure mark. India were batting second and chasing a target of 323. Sharma’s innings was part of a 246-run stand for the second wicket with his captain Virat Kohli, who himself scored his 36th ODI ton in the innings. 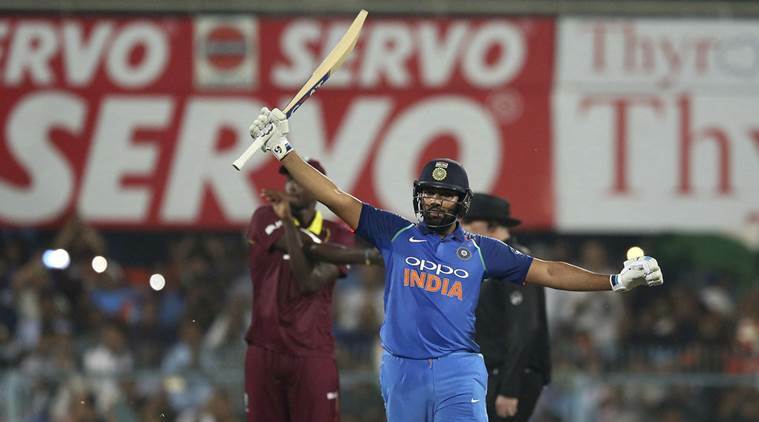 Rohit opened the innings with Shikhar Dhawan after Shimron Hetmyer’s 106 propelled the West Indies to 323. Although they are one of the most formidable opening pairs in ODI cricket, it didn’t work out for them in Guwahati as Dhawan was dismissed for just four runs at the end of the second over. From there, though, Rohit stood by as Kohli sprayed boundaries all around the park. Rohit is only the 13th batsman to have scored 20 ODI centuries. He is also the only active batsman apart from Kohli and Chris Gayle in the top 20 all time highest century scorers.